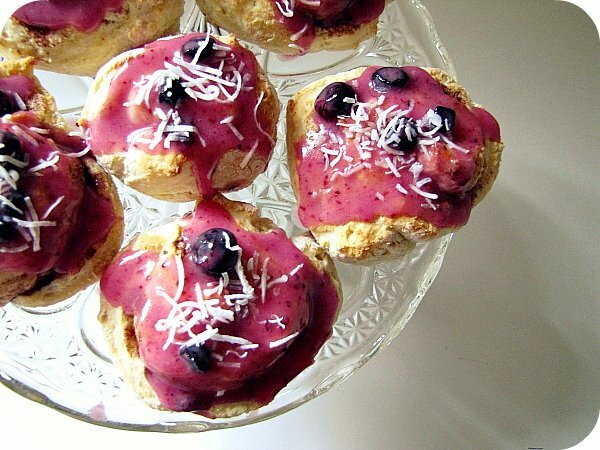 Loving warm cinnamon pinwheel scones, topped with blueberry icing and coconut! My big boy who is growing into a fine young man - look, he's even got facial hair! More bloggy buddy love - the fabulous Cat from Catalina's Cottage has generously posted up her copy of The Help for me to read! I've only just started reading the book and I'm hooked already! So looking forward to the movie... if you haven't seen the trailer yet, go here. Thanks Cat!! 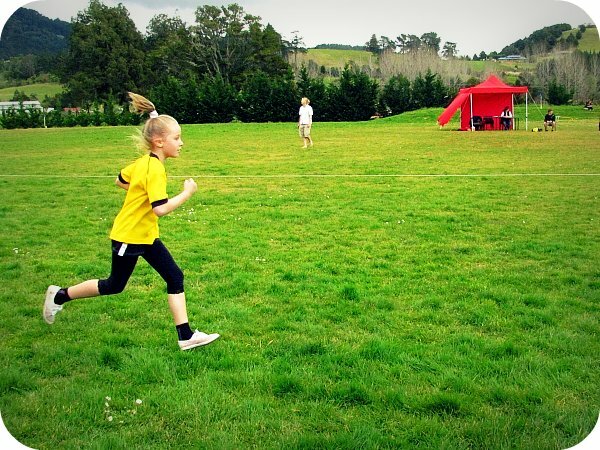 My amazing girl and her fabulous effort recently in more cross country running. 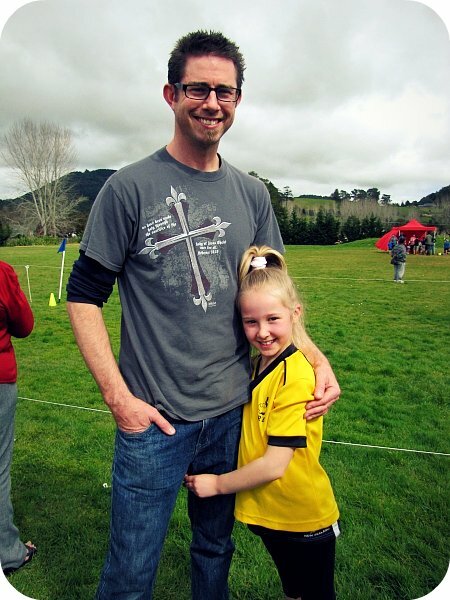 I hated cross country running when I was young (I was a sprinter all the way) so I am very proud of her! Finally (and trying to look on the bright side) I am loving the fact that we had the pleasure of getting to know the fabulous Leonie from Kiwi At Heart for the short time we did. 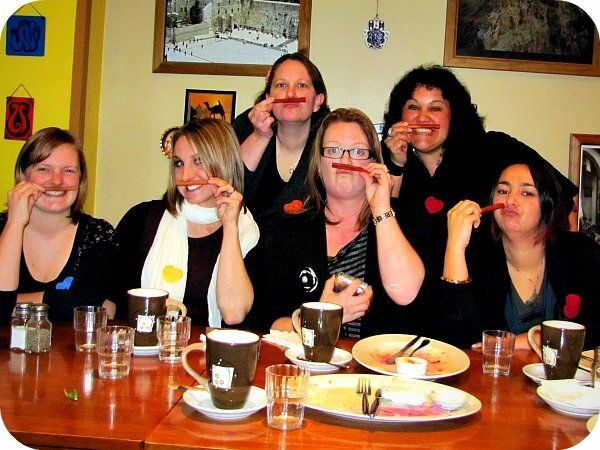 We all first met up here at our first ever Whangarei bloggers gathering, and it's been tonnes of fun since then. Sadly she is off back to Australia *sob sob* so some of us Whangarei bloggers gathered at the Fat Camel (mmmmmm) and had a farewell meal. Leonie even made us the cutest crochet heart brooches as a farewell gift. We will miss you so much Leonie!! Sigh... The Help. Loved it. 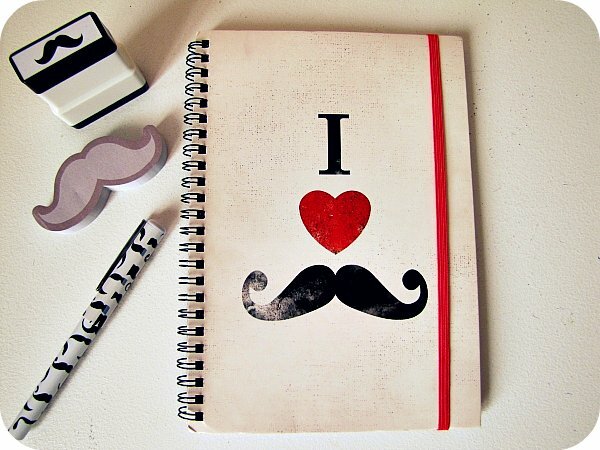 And so love the moustache package! What a great idea! lovely things. Love that action shot of the runner! 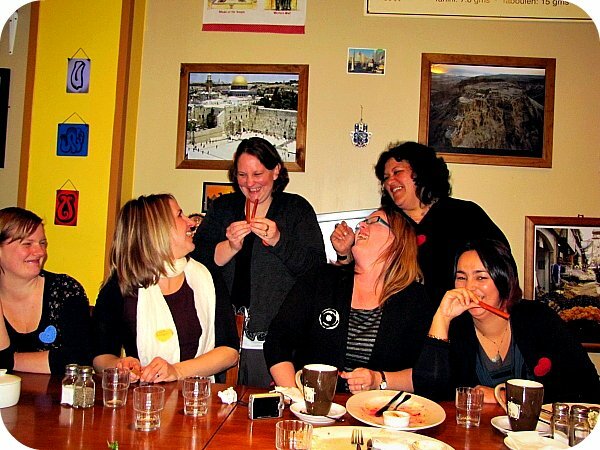 We really are a raucous group! 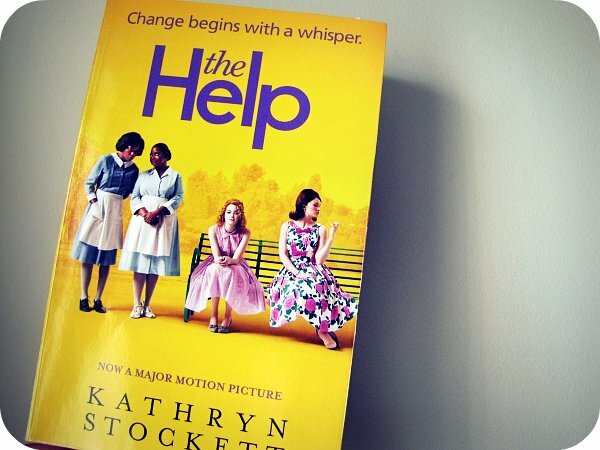 I really want to read/watch "The Help". Now that the movie release is just around the corner, to read or to watch first? That is the question. Oooo, just seen the trailer and must read/watch soon! And well done to your amazing runner - takes great stamina to be a cross country runner! Loving your list this week. 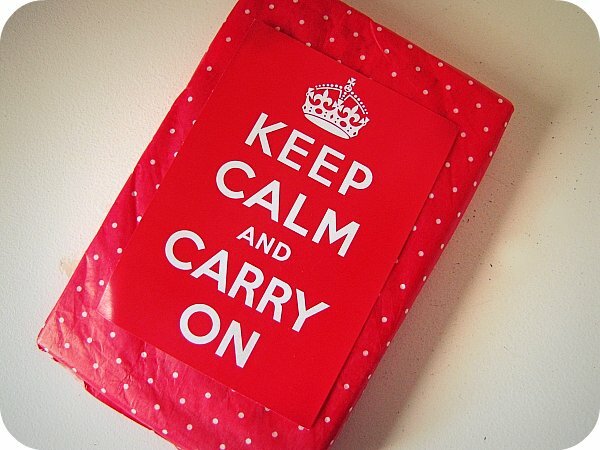 Bye to Leonie, although it's never really good bye in the bloggyworld is it !!!! Oh look at that post it note moustacheo facial hair!! Yay for Cross Country - my 4 are all champions, not from me, i'm with you, sprinter, my husband is the long endurance runner, like regular soldiers are. look at your girl go!! cool! Our dinner was such a great night, you girls are just the most amazing friends.....sob sob. It TOTALLY made me think of you!!! I just saw The Help today, and although I don't have the book to compare it to, it was really good! Crikey, that is the last time I wait until Sunday to join the linky. I had to back scroll through about a million posts in my reader to reach this one- that'll teach me! Love the list, bye to the gorgeous Leonie!!!! I spotted some of that in Typo and thought of you... yay for Meg, sending it up to ya! She rocks. But she'll be back, I hope, Before too long. PS better late than never - i made it eventually! Great list Kristy - and loving that stuff Meg sent you. What a cool girl!!! Love the photos with Leonie too. Looks like a load of fun that night amidst some sad farewells! 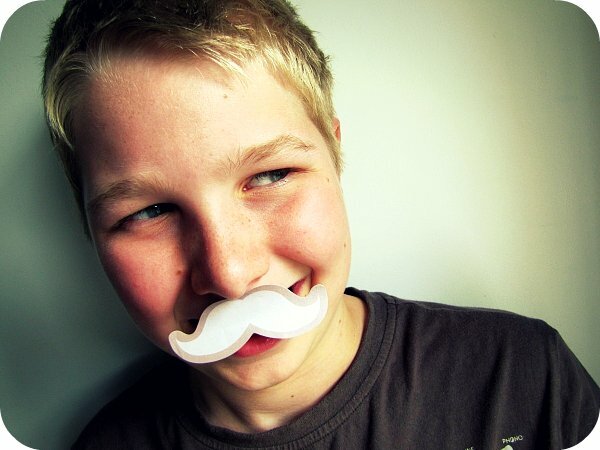 The moustache set is great! I know quite a few of my male friends who would like it!